Jun 11, – South Korea reported a 10th death from the MERS virus on Thursday, although officials say they believe the disease has peaked. The victim was a 65-year-old man who had been treated for lung cancer and was hospitalized in the same facility as another MERS patient, the Health Ministry said. 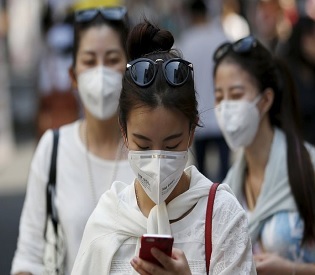 The outbreak of Middle East respiratory syndrome has caused panic in South Korea. It has infected more than 120 people since the first case, a 68-year-old man who had traveled to the Middle East, was diagnosed on May 20. About 3,800 people remained isolated Thursday after possible contact with infected people, according to the ministry. More than 2,600 schools and kindergartens across South Korea were closed. On Wednesday, experts from the World Health Organization and South Korea urged the schools’ reopening as the outbreak in the country has so far been contained to hospitals and there is no evidence of sustained transmission in the community. South Korean officials believe the outbreak may have peaked, although they say the next few days will be crucial to determining whether their efforts to isolate patients and control the disease have worked. Three people diagnosed with MERS were released from hospitals Thursday, bringing the total discharged to seven. President Park Geun-hye postponed her planned U.S. visit scheduled next week to focus on coping with the outbreak. Most of the deaths so far have been of people who had been suffering from pre-existing medical conditions, such as respiratory problems or cancer. Experts think MERS can spread in respiratory droplets, such as by coughing. But transmissions have mainly occurred through close contact, such as living with or caring for an infected person. MERS has mostly been centered in Saudi Arabia and has a death rate of about 40 percent among reported cases. It belongs to the family of coronaviruses that includes the common cold and SARS, and can cause fever, breathing problems, pneumonia and kidney failure.